TTR Tricks - Canadian snowboarder Mark McMorris took 1st place at the TTR 6Star O'Neill Evolution 2012 Mens Big Air event. Check his snowboard tricks. This Saturday snowboardings elite meets at the Olympia Stadium in Munich, Germany for the TTR Air & Style Munich 2011. Riders from all over the world will battle it out, Big Air style, in front of a massive crowd of snowboard fans to win the infamous Ring Of Glory. The jump, which is considered by many to be the best stadium construction ever, seems to be in good condition and it will be interesting to see what tricks the riders will throw down at this TTR 6Star event. Snowboarder Sage Kotsenburg throws down the worlds first Cab 1440 Double Cork at the Billabong Air & Style 2011, a 6Star TTR Event in Innsbruck. 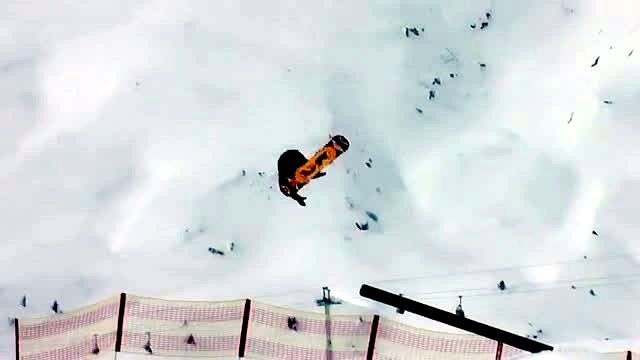 Sage Kotsenburg really shows how much snowboarding is progressing! Check out Seppe Smits winning run at the 6Star Billabong Air&Style 2009/II held in Innsbruck. Listen as he talks about moving from the World Rookie Fest to the winner of the Swatch TTR 6Star Air&Style Rookie Challenge. Snow falls and wind storms didn't stop the Black Yeti's squad in Vallnord, Andorra, for the first rookie fest on the Pyrenees. Challenging for three tickets to the Swatch TTR 4Star Protest World Rookie Finals in Ischgl, Austria, riders from Spain, Andorra, France, Nederland and Argentina killed a perfectly shaped slopestyle by ASP Snowparks consisting of 4 table tops with jumps from 10 to 15meters, rails and boxes. 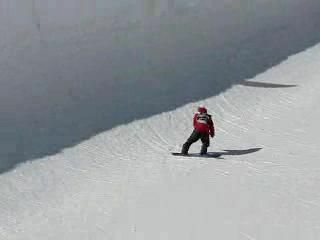 Shred in Leysin Park. Good sound too. Enjoy! Sven Thorgren (SWE) and Celia Petrig (SUI) won the 2012 Protest World Rookie Finals in Ischgl, Austria, and were crowned WSF 2012 World Rookie Champions with a special prize giving ceremony including live music and special guests. It was the largest edition ever of the World Rookie Finals with more than 90 riders and 20 national team.